Important facts you should know before purchasing an area rug. Everyone knows it pays to go slow when considering the finishes for your home; be patient and read the fine print. But is all that really necessary when buying area rugs? Absolutely! Any floor covering in your home impacts interior beauty, design, décor, comfort, livability and upkeep. It’s a truth of housing: floor coverings can make, or break, a home. So our advice is to learn all you can before buying flooring, including area rugs, and you can start right here. Because knowledge about rug specifics, characteristics, and traits can be invaluable. Choosing the best area rug for your home is really about knowing the right combination of characteristics, aesthetics, performance and budget to best meet the needs of your lifestyle. 1. Size and shape: they’re fundamental, yet essential. If you are placing an area rug under your dining room table, select a rug that is large enough so that when seated at the table the back legs of the chairs are on the rug with enough space to push back and get up from the table. Your dining guests will appreciate that. 2. Color: it has impact, here are some insights. So feel free to express yourself – think outside the box. 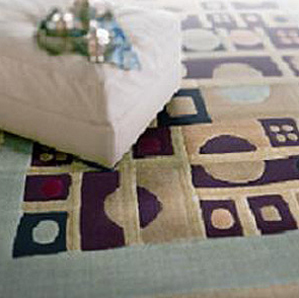 Different rug producing areas use different combinations of colors and different types of dyes. You literally have the world at your feet. 3. Pattern: which arrangement do you prefer? 4. Style: shop for rugs that reflect yours. In addition, many of these styles have different designs. Consider that a Tabriz style rug may be made in Tabriz but it could also be made in India. If you want to know, please ask us. 5. Design: choose from this trinity. For antique handmade rugs, this advice is timeless and unconditional. If a Persian, Oriental or any other antique handmade rug is a possibility for your home, consider these two attributes carefully. 1. 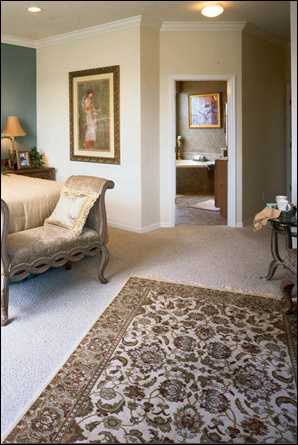 Age: with antique rugs, time is of the essence. 2. 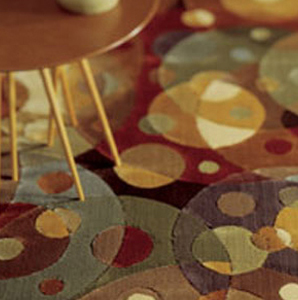 Condition: wear and tear influences a rug’s value. Fine, a rug in excellent shape with no stains, tears or holes, and no previous repair work. Average, a rug that may have undergone or may require some minor repair. Worn, a rug that may have discoloration, fading, insect or foundation damage. To ensure there are no surprises, and the rug you select fits within your budget, be sure to ask us to calculate the total cost of your area rug project. 1) Product delivery. Delivering your rug and underlayment materials (padding) are not included in the price you’re quoted. 2) Don’t forget to ask us and consult the manufacturer’s care and cleaning recommendations for directions on how frequently your rug should be cleaned and the cost to clean it. There’s much to consider before buying area rugs.